Journalist Peter Beinart, seen here in Atlanta in 2012, is among the outspoken critics of Israeli policies toward Palestinians who have been interrogated upon arrival in Israel. In recent months, several critics of the Israeli government — most prominently U.S. journalist Peter Beinart — complained that Israeli border agents questioned them about their pro-Palestinian activism and political beliefs. The testimonies made headlines and rekindled a debate about whether Israel is stifling dissent and liberal views. In a statement, Israeli Prime Minister Benjamin Netanyahu said Beinart's interrogation was a mistake. Israel's domestic security service, Shin Bet, which conducts interrogations, opened an investigation into the case. Israeli justice officials also looked into the recent incidents. In a letter Thursday to Israeli groups protesting the practice, Deputy Attorney General Dina Zilber said the interrogations were not intended to block demonstrations but rather "to thwart and prevent illegal activity, whether on a nationalist basis or with a connection to terror." The Shin Bet issued a seven-page document defending its interrogations, saying it seeks to prevent domestic and international left-wing activists from encouraging Israelis and Palestinians to gather in West Bank areas "and use violence against Jewish residents and security forces." Dan Yakir, chief counsel for the Association for Civil Rights in Israel, who petitioned justice officials to investigate the interrogation practice, protested the government's explanations. "This is one of the most shameful and dangerous documents ever issued from one of the state authorities," Yakir said. "Apparently, the Shin Bet believes that participation in a demonstration or a tour in the West Bank constitutes an existential threat to the State of Israel." Pro-Palestinian activists from around the world frequently participate in demonstrations with Israeli and Palestinian activists against Israel's military occupation of the West Bank and policies toward Palestinians living there. Most countries reject Israel's presence in the territory and support Palestinians' quest for independence. Proponents of the global boycott, divestment and sanctions movement against Israeli institutions and businesses say the campaign is a nonviolent way to promote justice for Palestinians. But Israel says their goal is to undermine its right to exist. In 2017, Israel passed a law banning entry to foreigners advocating a boycott of the country. Israeli Deputy Minister for Public Diplomacy Michael Oren defended the law, but he has questioned whether it is being extended too far — to "people who aren't against Israel's existence but oppose parts of Israel's policy." 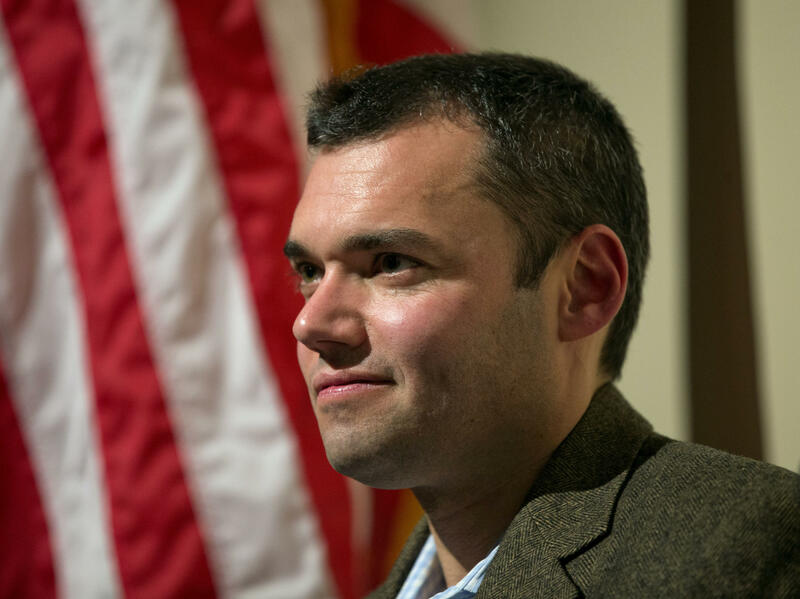 Beinart, a contributor to CNN, The Atlantic and the American Jewish magazine The Forward who calls himself a Zionist supporter of Israel but also criticizes Israeli policy toward Palestinians, was detained in August upon landing at Israel's international airport in Tel Aviv. He said he was questioned about his participation in a 2016 protest in the West Bank city of Hebron organized by the Center for Jewish Nonviolence, a Jewish group that opposes Israel's occupation of the West Bank. He said the group had been helping a Palestinian clear clutter from his yard to set up the space as a cinema, when Jewish settlers arrived yelling and Israeli security forces declared the area a closed military zone. The Shin Bet said Beinart — and two Israeli activists in separate cases — were interrogated "on the basis of intelligence information that indicated suspicion of involvement in illegal and violent activity in sensitive areas of the West Bank, that could significantly endanger the peace and security of the Jewish and Palestinian residents and the security forces." Beinart called this explanation "Orwellian." "The whole point of the protest was to be nonviolent," Beinart told NPR. "If there was aggressive behavior that I saw, it was only entirely from [Israeli] settlers and security forces." Beinart said the authorities' assertions they are not seeking to stop protests were "dubious." "What the interrogator most wanted to hear from me was that I was not going to participate in a protest. When I said I wasn't going to be involved in a protest, the conversation ended," Beinart said. In its document released late last month, the Shin Bet said that so far this year, 17 international activists have been denied entry to Israel for "activity associated with the extreme left" and 260 others have been denied entry for suspected terrorism and espionage. The Justice Ministry said the Shin Bet would ensure that rules would be "refreshed" and "supervision mechanisms" would be in place for future interrogations "to ensure the necessary balance between a potential infringement on rights and the security interest."